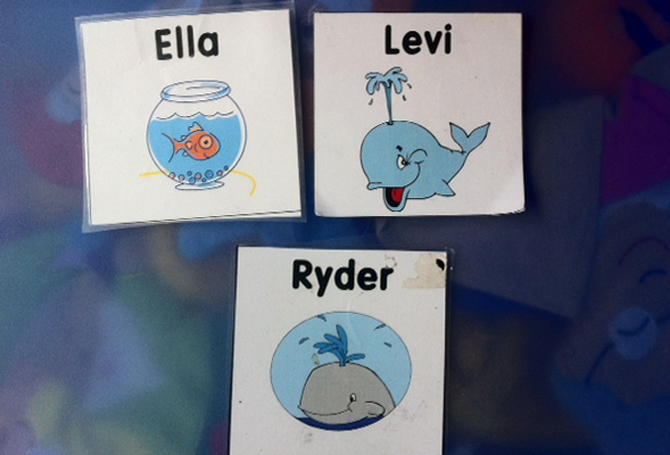 Bringing aquatics into the classroom can be as simple as using water themed name tags. It's a great way to start a conversation about water that can lead to various chats about safety, swimming and water conditions. 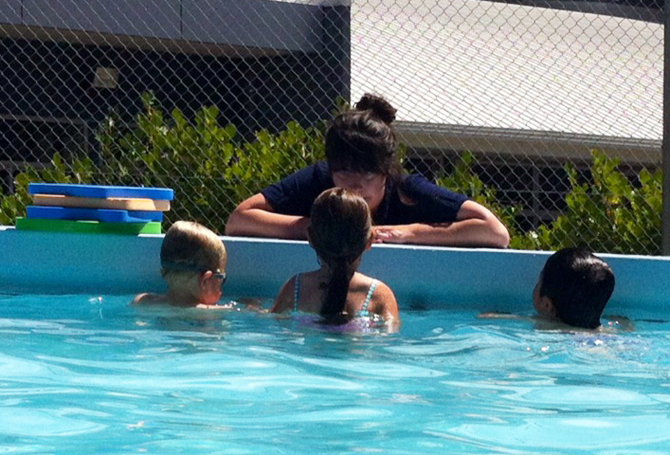 Do you need some interesting ways to get your students thinking about their swimming lessons? Try getting your children to reflect on their swimming experiences and encourage them to write down what they are enjoying and what they would like to achieve. 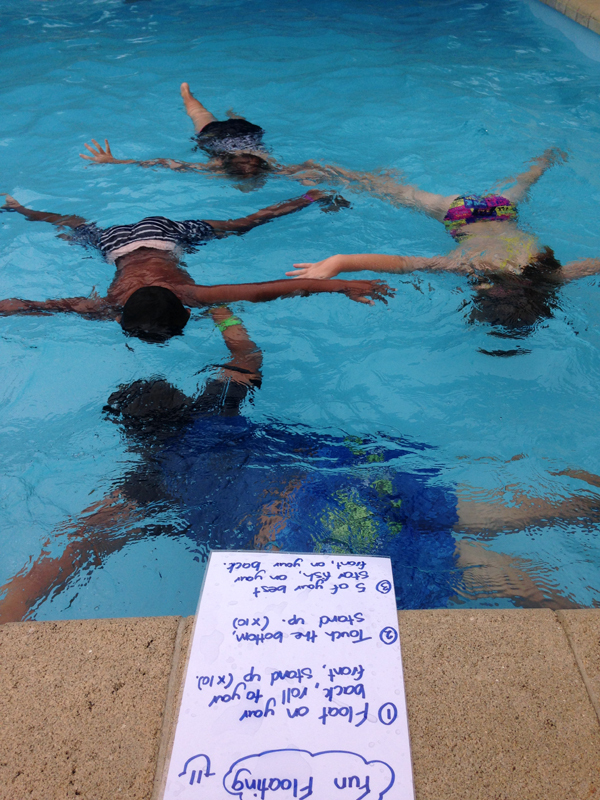 Ranking their level of enjoyment in the pool is a great indicator for both students and teachers to gauge how someone is feeling about the whole experience and provides opportunities for discussions to take place about their interests, goals or fears. These are great ways to link the swimming experience to the curriculum areas of thinking, relating to others, managing self and participating and contributing. Hearing and seeing the instructions are really important for learning. This can be really difficult in a noisy pool environment and even more so in an outdoor pool. Get down low so your swimmers can hear you and remember to do correct demonstrations. A great idea to keep aquatics in the front of your child's mind is to check out our activity book. Puzzles and colouring in for all ages and stages, a great tool for non participants or siblings on poolside. How often do you tell your team they are awesome and give them specific feedback? 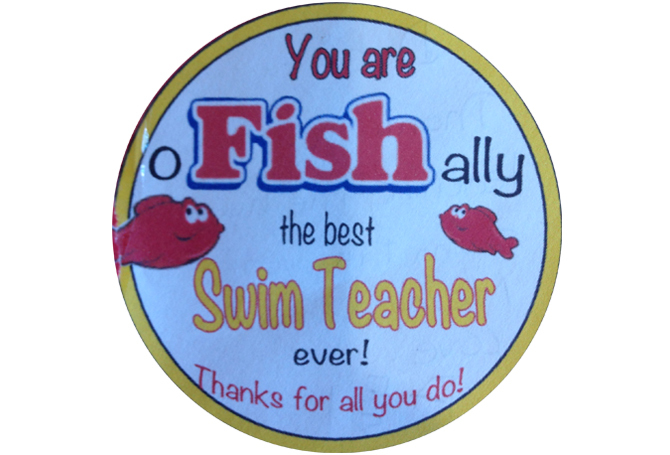 Well we think you are all fishtastically the best swim teachers out there, thank you for teaching a life skill! 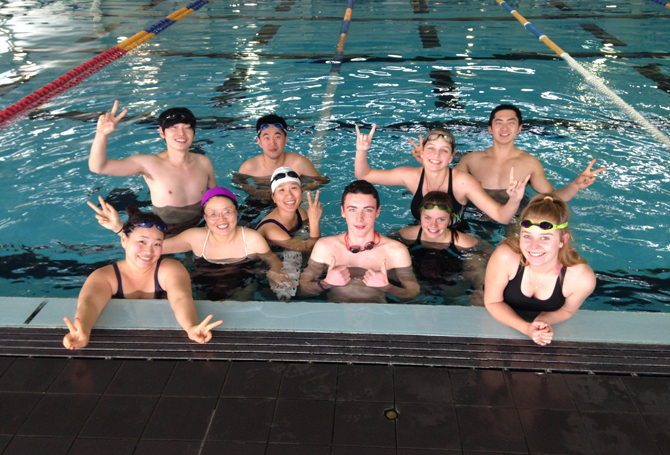 Teaching bilingual swimmers? Speak naturally and clearly, avoiding slang and idiomatic expressions. Demonstrations are an important tool in your teaching toolbox too. 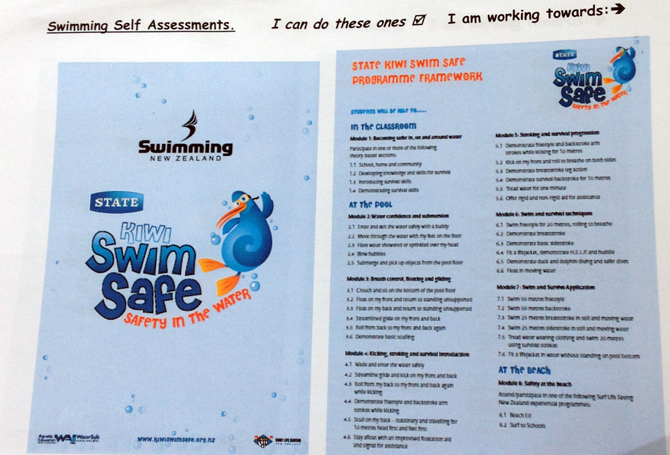 Check out how one teacher uses some of the Kiwi Swim Safe resources as self swimming assessments. 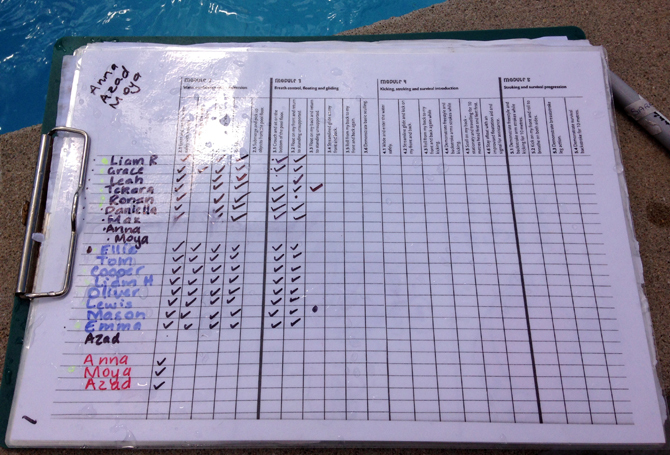 Each child has their own self swimming assessment (page 16 from the Kiwi Swim Safe manual) and ticks off each activity when they can do it and has an arrow next to those activities they are working towards. 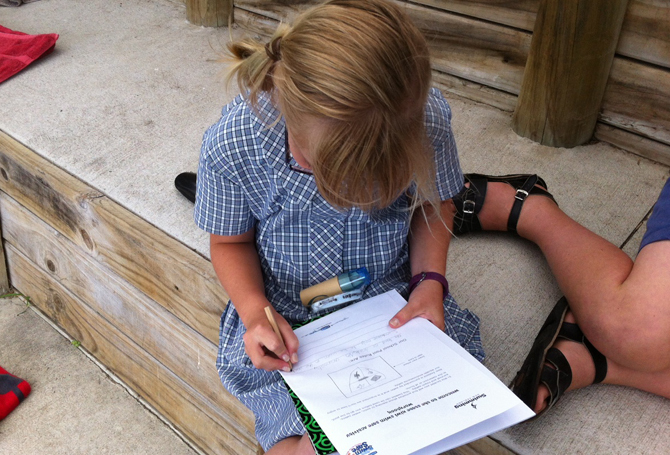 Each student gets to colour in their corresponding Koru level character and they love it. 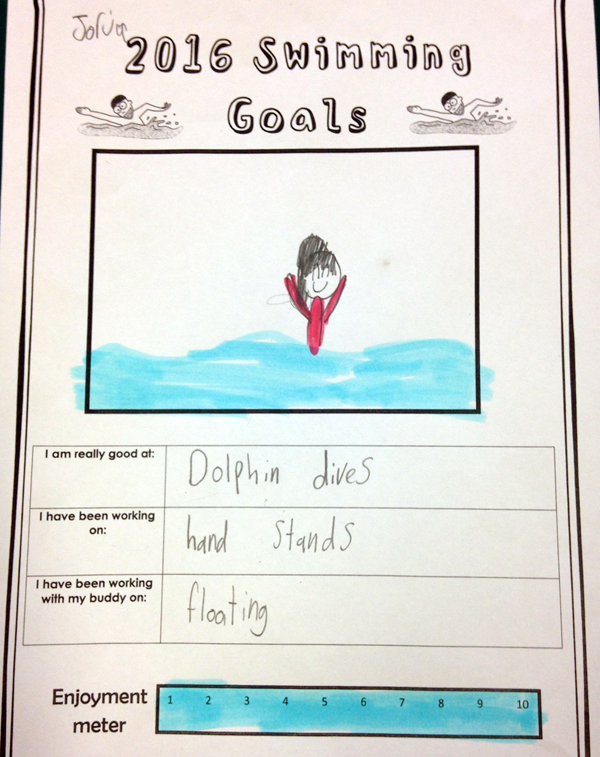 Each student is super excited about swimming and achieving all activities in Kiwi Swim Safe. Here is the Kiwi Swim Safe tracking sheet in action. This is a great tool to keep track of your student abilities in the water, class grouping and class management! Using laminated sheets with ability objectives can help you manage two groups at once. 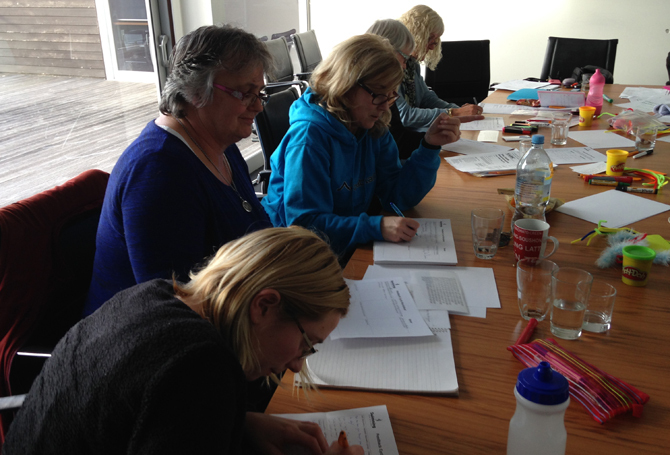 This photo shows one group working on floating. You could use pictures too! Self reflection is a really important part of everything we do. Reflecting helps us to identify what has worked well for us in our swimming classes and what we can try to do differently. When you have new staff training as buddy teachers, encourage them to keep a journal of what they are learning in the pool. Get them to note down what they are enjoying and any questions they have. This can be a great way to support their learning and enables them to critically reflect on their learning experiences. It also helps managers to identify future learning needs for each individual person.